Home / Old Try / Awwww Snap. The other day, I was just minding my business on the internet. Doing things. Shuffling pixels. Things a web designer by-day is want to do daily. And I got an email from Art In the Age. Said they'd seen our stuff, and they liked it, and they were coming to town, and would I want to swing by and say hi, as they were hosting a tasting the night after. So I head over the the Hawthorne near Fenway and meet up with them. 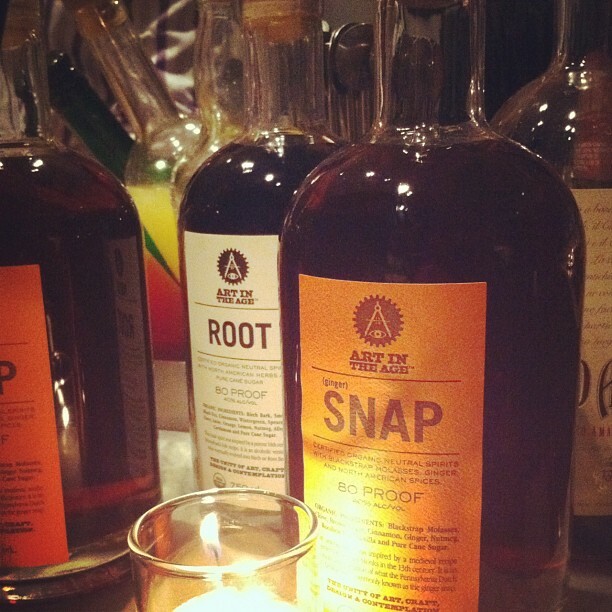 Taste some of their newest concoction, called Snap. It's good. Spicy. Buttery. Had it in a SnapBack cocktail. Which tasted of Christmas. Despite there being none here (til today when we finally got snow). Art In The Age of Mechanical Reproduction firmly believes in empowering artists producing high quality work marked by fine craft and intellectual rigor. We do so by applying the fruits of such labors to the cultural forms of everyday life, granting those who wish to engage the opportunity to do so in his/her own environment. Rather than exist at a distance in the white cube of the gallery space, we weave our offerings into the collective surface of myriad personal contexts. In this troubling epoch of industrial commodification, standardization of reproduction, and fomentation of a society of shallow spectacle, Art In The Age issues a challenge and rally cry. We fight fire with fire, subsuming the onslaught of watered down facsimiles and inaccessible displays with thought-provoking products of real cultural capital. Go find you some Snap. 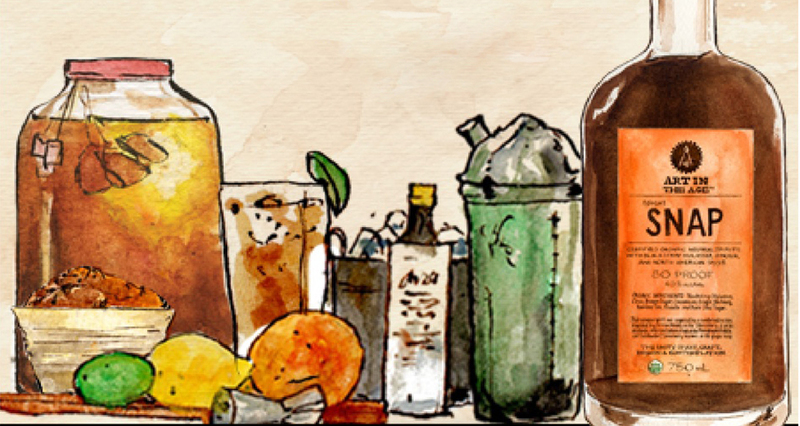 Mix it with bourbon. And mull over that paragraph.